The above description of Achebe was made in a letter released by The White House and addressed to the family of Achebe. The letter was read by a representative from Obama’s White House at the Celebration of Life event for Late Chinua Achebe, which took place on last Sunday night, June 2, at the Andrew Mellon Auditorium, Washington, DC. There were cultural highlights at the occasion including a theatrical rendition of a scene from Achebe‘s Things Fall Apart, which was produced by Mike Chuck theater, a former Nigeria based US citizen. 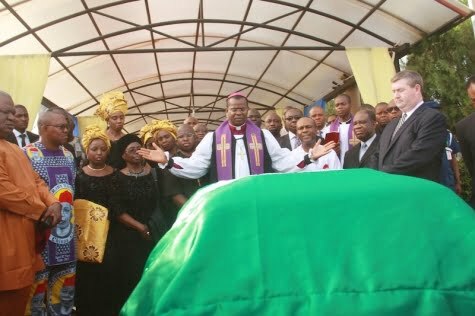 "The global outpouring of eulogies over the passage of renowned novelist and critic, Professor Chinualumogu Achebe, clearly testifies to the profound respect he enjoyed all over the world. The death of the outstanding author in the United States, at the age of 82 is, indeed, a loss to Literature, Nigeria and the world. Chinua Achebe shot to the global literary stage with the iconic novel, Things Fall Apart, in 1958. The novel, which was translated into more than 50 languages, sold over 12 million copies worldwide. The book put African Literature in the mainstream of world literature, telling the story of an authentic African community in the throes of colonialism. As a constructive griot, Achebe exposed Europe’s jaundiced and dismissive perspectives of the continent in the strong belief that Africans had their own perception of life contrary to Eurocentric misrepresentations. The late Chinua Achebe’s book “There was a country’’ has been recording high sales in Enugu State since his demise on March 22. 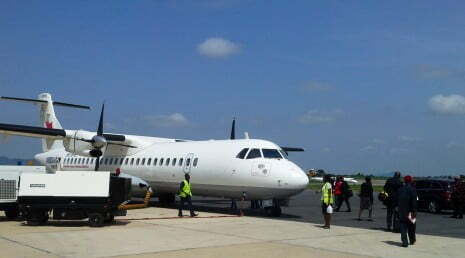 Checks in Enugu on Tuesday showed that the paper cover of the book was now being hawked on major streets of the state capital at a price of between N1, 500 and N2, 500, respectively. Some of the hawkers, who spoke to reporters said that they had been making brisk business on the book since the demise of the literary icon last month. According to one of the hawkers, Joseph Ibekwe, “I sell between 15 and 30 copies of the book a day at the cost of between N1,500 and N2,500, depending on the bargain with the buyer. “I have never made such sales on a book like that before,’’ he said. On why he was not selling other books written by the author, Joseph said that it was the only one on high demand by the people. One of the buyers, Mr Chris Odo, a civil servant said he bought the book because it was the most recent of Achebe’s book before his death. “I have read some of his books like `Things Fall Apart’ and `Arrow of God’ but I have not read this one which is his recent novel on Nigeria’s civil war,’’ he said. Another buyer, Mr Chijioke Ibe, said that he bought the book because people had talked much about it. Have learned people worked out a formula calculating whether the incidence of death quickens and slows according to seasons, and why this should be? Is it merely my imagination that we have recently lost more well-known people than is usually the case? Even as we drove back from our funeral to Kampala from Kabale, news reached us Chinua Achebe, arguably the best-known (and best ever) writer in Africa had died, aged 82. His fellow Nigerian countryman, Wole Soyinka, is the better rewarded writer, having bagged the Nobel Prize, plus not far short of a million US, but for me, and a multitude of others, that should have gone to Achebe (profuse apologies, Wole!) Ask a million African schoolchildren who have read African literature, and I bet most will say Achebe’s Things Fall Apart is the best book ever written by an African. And that it would rank at the highest level beside those from any other continent or time. Thereafter my meetings with Chinua Achebe were perforce infrequent, and mainly where birds of the writing feather were gathered together! Once, or perhaps twice, we crossed paths on teeming London streets. He always had a smile for me, of warm but perhaps quizzical nature. I heard he had been reduced to a wheelchair by an accident, and gone to the US semi-permanently. I wondered whether his heart for Nigeria (without Biafra) had broken. But I never forgot Chinua Achebe, much less now! We who were alive at that hour when his first book, Things Fall Apart came out, when he was merely 27, were astounded and captivated by its writing power. But also by how, through its Igbo protagonist, Chief Okonkwo, an older, African, civilisation, was submerged by a later, European, one. Thus it could be called a song of defeat, but sang in heroic tone, and fashioned elegantly into an English with Igbo undertones: technically a magical and miraculous feat. The book, it is no exaggeration to state, blew our minds. But equally those of countless others: it went into more than 50 translations, selling more than 10 million copies worldwide. Four other novels followed: No Longer at Ease (1960) Arrow of God (1964), which some, but not I, consider his greatest achievement: I stick with the first book, Things Fall Apart (which to me seems nearer to perfection), then satirical A Man of the People (1966) and finally Anthills of the Savannah (1987), his kind of summing up of his and other African writers: to me seemingly an afterthought. There were some children’s books too. He also brought out Beware Soul Brother (1971), an award-winning collection of poems, and Girls at War and Other Stories (1972), a volume of short stories. These last two came from his experiences of the Biafran War. This was that calamitous civil war of an attempted secession, by Biafra from Nigeria, in which more than a million, a huge majority of them Biafrans, perished. Surprisingly, Chinua Achebe, the most peaceful person you could ever meet, believed firmly that only an independent Biafra, to which its people could retreat, would ensure the survival of the Igbo, of whom he was one. He said, “I believe our cause is right and just. And this is what literature should be about: right and just causes.” From this came his often-repeated statement, “Let the hawk perch and let the eagle perch”: Equality! A friend of his from earliest schooldays was the Okigbo I met, brilliant poet who chose to fight for Biafra in this war, and died, some say shot in the back while ordering his troops to follow him where the fighting was fiercest! Mr. John Nagenda is a Senior Media Advisor to President Yoweri Kaguta Museveni of Uganda. Nagenda is an accomplished sportsman, he played for East Africa in the first cricket World Cup in 1975 and captained the Nomads Cricket Club, an itinerant team once loosely related to Oxford and Cambridge universities. Odia Ofeimun, a Nigerian poet, essayist, and social critic speaks with Ademola Adegbamigba (PM News) on late Chinua Achebe and his revelancy on our world. 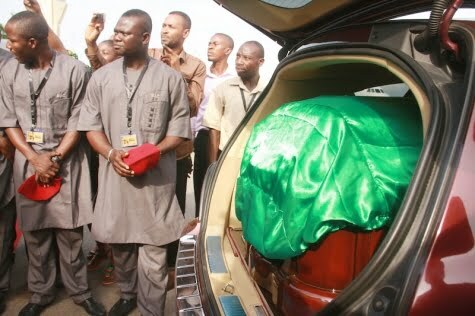 How did you receive the news of Achebe’s death? I was in my village in Ekpoma when many journalists started phoning to find out my opinion about the death of Professor Chinua Achebe. I refused to respond because I remember that Nnamdi Azikiwe was reported to have died a number of times before he finally did. I did not want to be one of those who would be talking about the death of a man who was still very much alive. I did not want to. So, I kept asking them who confirmed Achebe’s death. It was only later in the day when it was clear that the death had been properly confirmed that I decided to respond. My response was very simple. For me, especially after the publication of There Was A Country, nothing could be more painful than a man dying just when you were learning to argue and debate with him. Achebe has been one of the most lucky artists the world has known. When he was young, almost, not yet 30, he was already being treated and regarded as an elder. He was a patriarchal figure before he was an adult. Everybody treated Achebe like the wise, old one because of the stories he had told, especially in Things Fall Apart and Arrow of God. And he had the luck again of finding a publisher just setting out in the world, who wanted to move into this new area of African literature. It was unheard of, but he devoted a lot of resources to promoting this new literature. And Achebe was their editorial adviser. He, therefore, was in a position to determine how people became writers in Africa. And the African Writers Series turned out to be the most promotional factor in the development of Africa literature. Achebe was at the heart and centre of it. Therefore, when you are discussing African literature, you can rightly and properly describe Chinua Achebe as the ‘father of African literature’ because of the role he played in the emergence of other writers. Whether they were poets, dramatists or novelists, most of them became well-known because they were in the African Writers’ Series. And therefore, we really cannot discuss African literature without remembering Achebe. You have treated the immediate transition from pre-colonial to the colonial period. Now let’s look at Achebe’s works vis-à-vis the post-independence period. How will you judge them? Achebe was very careful in the way he projected his literary career; in the way, so to say, he channelled his own literary career. He produced a novel of the colonial part, that is to say, just before colonialism. And then he produced another, which was about the truly colonial present and he moved beyond it back again to the village and gave us a different picture and you can almost tell that Things Fall Apart and Arrow Of God are one book. And it is because we are not very enterprising people as writers. If not, by now, one young fellow should just have bunched all the books together and written one novel to cover the whole series that Achebe did. We have not yet done it, but it will be done one of these days. And we do need to be very conscious of where we are coming from, when Achebe himself talks about when the rain started to beat us. Well, it is in his books that rain started to beat us in African literature in a very vehement manner. And it is important that we constantly go back to it to retell some of the stories he had told, and we must. The average reader has every reason to award divinity to the sheer beauty of Achebe’s works, no problem. But for a young writer, who needs to tackle Africa, we must have a certain capacity for serious criticism. If we must do that, we do need to be able to tackle the questions that Achebe tackled and bring to them new values and new knowledge that we have that could not have been available to Achebe when he wrote those books. He was a young man; people forget that he was a very young man when he wrote those books. And he just managed to be a good reporter of what the traditional society was like. But in doing that, you could see where he laid his emphasis was where the Obierika character in Things Fall Apart laid the emphasis. Obierika was not a revolutionary, he was not a man who wished to change the system. He was just a man who marked how things were. And there is a sense in which Achebe, by just marking where things are, opened up spaces for us to do proper criticism. For instance, one of the least celebrated characters in Things Fall Apart is actually the most serious and most important character – Unoka, the father of Okonkwo. Everybody remembers that musician, who like Ulysses, could play the flute and everything could either go to sleep or wake up, depending on what the flute meant to do. He was so good at it that his only problem was that he couldn’t do what everybody in the society was doing. He was not a farmer, he did not want to be judged in accordance with the standards of the farmer. He was a musician and as an artiste, he did so well that what he drew attention to was the incomplete communalism of Igbo society. The communalism in Igbo society was so achievement-oriented that it did not provide good support for the weaker people in society. And in this particular case, he was not the weaker person in the society, he was actually the strongest of the people in the society because in some other societies close to Umuofia, the rounded communalism of those societies enabled them to protect the artistes. The man who played during your funerals, marriages, child births and other age-grade ceremonies, when it was time to clear the bush, either the age-grade or the community as a whole would go clear the bush for him. In a society with a rounded communalism, when it was time to plant other people helped him to plant. He may not even be available in his farm. The Igbo society that you encounter in Things Fall Apart did not have such a rounded communalism that some other societies had. Therefore, what happened to Unoka? The man literally died of kwashiokor and was taken with his flute and thrown away in the evil forest. But we must not forget that it was a point of weakness in the society, rather than a failure of the individual character because that individual character did what he wished to do so well, better than everybody. He was a great artiste, who should have been given the protection that great artistes should have. So, when you look at those books, it is what they open up for us as a means of understanding the society that counts, and how they enable us to question the society that we have all inherited. By the time Achebe wrote A Man of the People, he had moved beyond all the self-defensive approaches of the earlier literature. He was no longer wanting to deal with what happened yesterday, he was now dealing with the present. How after the intervention of the colonial masters we still couldn’t put things together. No Longer At Ease gives the impression that there must have been a period when things were at ease. Whether you read Things Fall Apart or No Longer At Ease, there was really no period in which our people were at peace. If you look back, you will discover that the village republic described in Umuofia was actually a very rare community in many parts of Africa. For 500 years, there had been an upsurge of slavery and slavers’ attacks, there were slave wars that were wrongly described as inter-tribal wars by the colonialists, so that very few societies were free of the infraction of the external environment, a vicious infraction for that matter. To have managed to find one community that was free of this is a very interesting deal. It also shows you the differences in the kind of societies that belonged to the traditional order. Now, Achebe told the story, so to say, of his grandfather and told the story of, shall we say, his own generation. The story that is not particularly well told is the story of his father’s generation. Those who were the real betrayers of traditional Africa, those who turned their backs on traditional African societies, the story was never properly told. If he had told that story, perhaps, he would have been more in a position to deal with some of the most serious questions that he had to deal with all his life. Like, for instance, when you read There Was A Country, he tells you very much about that period that Chinua Achebe did not write about in his fiction. It was a serious period of transition in which you could not properly take sides because Achebe gives us a very fine picture of a society that could destroy twins, and did the human sacrifices in a fairly perfunctory way. He also showed us how that weakness in the society made it easy for the external factor to intervene and to literally take over the society because those who were not feeling good about that community had to move with the new providers and the new liberators that the white people were. Because whether we like it or not, the white people who came were liberators to all those classes that were under dispossession of one kind or another. The story of the generation that took over from the white people, the generation that moved into the white camp, is not so well told because these days, you do find that in the discussion of African literature, we all avoid that period. The reason many Africans avoid that period is that they are not too sure that it is not self-abuse when they embraced the so-called white culture. It is not self-abuse. There is truly nothing that was happening in traditional African societies that was not happening in European societies. We just did not have the calm and balanced environment for which to assess and determine what to take. When your conquerors and oppressors are the ones determining the pace in their own interest, you are not choosing. It is the imposition of the western way, rather than ascension to the western way that made the difference. The Japanese had a choice as to what to take from western civilisation; we never had that choice. Ours is a clear case of an imposition. Therefore, that generation is one generation we need to look at. It was a generation that sometimes had very good reasons for the positions they took. And many of them were fairly clear-eyed about it. They sat down and balanced it. That is actually the point I’m making when I say that Achebe’s father’s generation is the one we still need to go back to in that process of transition, that moving away. We need to interrogate that period of transition because it is where we need to genuinely look at the rain that beat us. African intellectuals dodge dealing with that period because they themselves were part of the traitors and betrayers. They have not been able to sell an enlightenment position that our people can follow. Many people will support the idiotic cultural practices because they are our own African ways of doing things. There is no such thing when you are dealing with how to produce for the defence of life. What is not functional, if it has other roles, we must interrogate those other roles. The westerners came here to learn. It’s important not to go with the ideologues, who make such a sharp distinction between the west and the rest of us and make it impossible for us to see that it is about knowledge and knowledge acquisition. If you don’t know about the things around you, others will know about them and use them against you. The West knows more about Africa than Africans know about Africa. And we must never forget that anytime we are drawing a line between the West and the rest of us, we are in that kind of zone that requires a change to perspective, of attitude, paradigm, way we view ourselves and our history. There is the belief in Africa that people don’t speak ill of the dead. In the reviews I have read so far, people just mention There Was A Country in passing. Do you also follow that? I was one of those who responded to the book, a very well-written bad book. It is very readable and that is precisely why it is painful to see so much in that book that is false, contrived, just basic war propaganda that should never have been allowed into a serious book by an author we all respect. Achebe is the property of every school child in Africa, almost across the world. When the Japanese want to know about Africa, they literally go for Achebe first if it is about fiction. And so, there is a sense in which an author in whose name almost every child swears ought always to remember that he does not just belong to an ethnic group. No serious author belongs to just a nation because you are not speaking only for them, you are speaking for all of us who can read you. But in this particular case, Achebe imagined that he belonged, just like a child in that village republic that had no relationship with other communities, to Igbo. He imagined that the world just ended in Umuofia. No, the world does not end with Umuofia. Because what There Was A Country does is to make the search for war and the necessity to do war a basis for interaction. In Nigeria we have had a civil war since Lord Lugard imposed his ‘Pax Nigeriana,’ his special British peace for Nigerians, and we have allowed ourselves to live as if that civil war reflex built into our culture is the only way in which we can live. What Achebe has done is to play the Lugard game – make it appear as if the necessity for hatred and the building of a basis for its continuance is one great purpose of literature. No, we don’t understand our lives enough by reading Achebe’s There Was A Country. We actually no longer recognise our societies because if the hatred of the Igbo is the only relationship we are supposed to be dealing with, then you must know that you are describing a different world altogether than the one most of us live in. And I’m not one of those who say you can’t criticise the dead. Achebe set a very fine tradition. After Awolowo’s death, he did a critique according to his own light, on Awolowo and whatever he thought of him. So, we are in my view excused from that African culture, which says don’t speak ill of the dead. We are not speaking ill of the dead. If the dead defecated on the ground and it is the rest of us who must pack it, we must do a criticism of whoever did it and therefore, in dealing with There Was A Country, it is defending our lives and the lives of our own children. I don’t want to be part of that process of building animosity where it shouldn’t really exist and where the opportunism of leaders is precisely what you are defending when you say, “My people, my people.” No. The truth is that every Igboman who sees that civil war only from the standpoint of what has been said about ethnicity is not looking at it well. 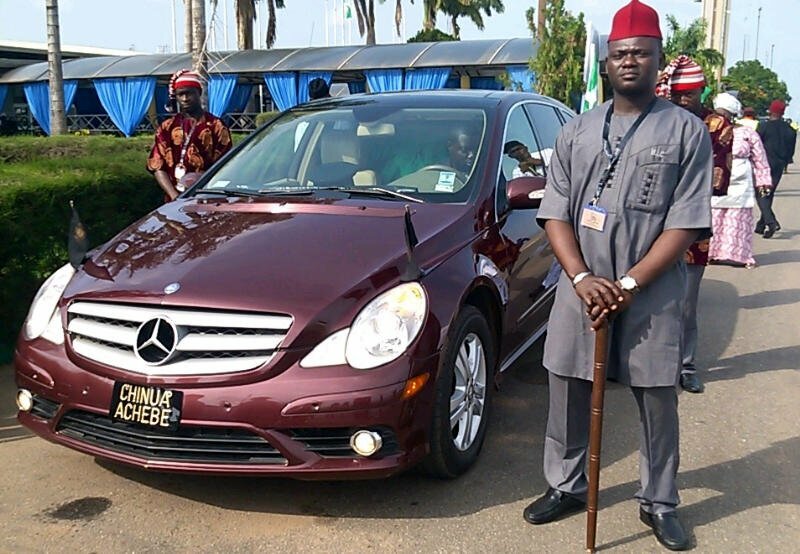 Look, five Igbo majors carried out a coup. In a just society, you will bring out those five majors, try them and deal with them. There may have been other collaborators. But to say that five Igbo people carried out a coup and therefore all Igbo people are guilty shows a society that has no respect for justice. But go the other way too. The pogrom before the war had clear organisers, any time we say the Hausa-Fulani or the jihadists, we forget that there were particular individuals who did the organisation. They should have been rounded up and tried and dealt with in a way that the 15 January boys should have been dealt with. Now it’s like the Obasanjo way of justice. Some policemen are killed by identifiable people, instead of going after them you went to a whole town and demolished it. Now, whenever we find leaders doing that, you begin to see the point I’m making that leadership is about every sector of our economy, not first about that big man over there. Because the rest of us don’t lead ourselves enough, and don’t fight to ensure that we acquire the education to resist such people, we are also part of the problem that is being described. For God’s sake, if we want to judge Achebe on the basis of that last book, he gives us a chance to actually re-interrogate all the earlier books because the village sense of the Umuofia Republic can’t help us run a modern society. It is not possible for us to live in accordance with the ethics of that Umuofia culture and thrive. Let’s face it, if you look at Igbo society today, you will agree that the Igbo state union was a civilising agent because what they did was to round together so many such republics and broaden the sense of justice and the sense of values that many Igbo people had. But what the average Igbo leader and theoretician and intellectual have not managed to do is to see how the creation of a larger Igbo sense is also part of that process of building a larger Nigerian sense because it was in response to other ethnic groups across Nigeria that Igbo became more civilised than they were, when the colonialists came. Don’t let’s mistake it, those who call themselves Igbo today are who they are because of other Nigerians. 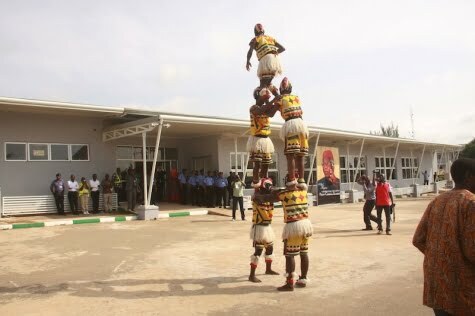 They pretend that they have something so intrinsically Igbo and that is what makes them different from others. They are liars. We are children of that common interaction which came with colonialism and the rest of it. To assume that every set of people you meet must hate you is what that book does. For that reason, it is not only a bad book, it is a destructive book, a book that destroys the peace which future generations deserve to have. What can people do, in spite of what he wrote, to sustain the handshake across the Niger? I did a collection of essays, only one of which I released in response to There Was A Country. So many people who don’t know that I actually have other essays that I have written but not published, did not realise that I’m not treating Achebe as a transient phenomenon. I’m treating him as a very serious engager of the lives that we live. I believe he got it very wrong in that book and therefore, since I believe that we must not allow generations coming after us to live by the specious and opportunistic views that our fathers had, we must contest all the lies, we must ensure that their wrong views of the way the world works get corrected. And you don’t need to go too far. There is a story I like telling everybody. Achebe says that the Igbo people are individualistic and that was what helped them to acquire western education, catch up with the Yoruba and then took over all the jobs. It is a very wrong description of what actually happened. What happened is that before independence, the NPC and the NCNC reached an agreement to run Nigeria together. Nnamdi Azikiwe refused to form a coalition with the AG because the Yoruba were educated and would be competing with the Igbo people for jobs. Therefore, they wanted a coalition. Because that coalition was a very conservative one, they wanted to go with the Hausa-Fulani, who did not have enough people to take over the jobs that the Europeans were exiting from nor did they have any to deal with the new jobs that would be created by independence. So, the Yoruba leader was jailed and the Yoruba, who could have looked for jobs, were shunted aside. So, the NCNC, though they had a strong following in the Western Region, arranged for the jobs to be taken over by their primary constituencies. That was it. But they didn’t factor some things into it. By 1964, they suddenly discovered that while they were taking over the jobs as permanent secretaries, ministers and heads of organisations, the senior partner in the coalition was taking over all the railway extensions, all the military installations, the Kainji Dam and even the new iron and steel industry that was being proposed. Then it struck them that the so-called uneducated northerners were not as uneducated as that. They had a clear picture of what they wanted. Now, that was when the break of the coalition started. Although Nnamdi Azikiwe refused to call Balewa to form a government in 1964, all they needed to do was to send soldiers to the place to harass him a little and then let him know that it required only two medical opinions for him to be declared unfit to take a decision. So he relented and allowed Balewa to form a government. From that moment on, a military coup was built into everything that was happening in Nigeria because, if you ask me, that was a military coup. From that moment, there was bound to be a coup in Nigeria, it was just a matter of time. When you look at it from that angle and you see that it was just the struggle to take over the resources of Nigeria that was at stake, and that it had nothing to do with any particular zeal on the part of any particular ethnic group, then you will realise that what we need to deal with is a very serious matter of economic management, and social welfare. And on that, I don’t care who is listening, only one man had a solution that works – that worked yesterday, today and would work tomorrow. They should go and ask Awolowo, all the books he wrote in prison – Thoughts On Nigerian Constitution and Strength and Tactics of The Peoples’ Republic of Nigeria. Chinua Achebe was a revolutionary genius with a descriptive warrior pen. He was ebulliently meticulous; a man of great wisdom and humility, with a rancor-free personality. But his literary approach and expression spearheaded by his novel Things Fall Apart was anything but radical and revolutionary. It was an indeed a velvet revolutionary book. With the novel Achebe lunched the restoration of the African dignity, a clarion call for Africa to define herself, tell her story and salvage her lost dignity. To call Things Fall Apart a novel may not do justice to this significant book, it is beyond a story book. It is cultural-historical psychology; anthropological and analogical book that captured Africa at its best; invariably establishing the clash and conflict of civilizations between Africa and Europe. With Things Fall Apart, Great Achebe took Africa and the rest of the world where they have never been before. With his understanding and imbibing of Igbo’s sense and sensibility, cosmology, ethos and political economy; he created the protagonist, heroic and tragic Okonkwo in Things Fall Apart with a socio-political realism that became a vehicle to tell the story of African people with a boldness, courageousness and clarity never seen before in the annals of African literary chronicle. Although during his lifetime he did hesitate in accepting the proclamation - “The father of modern African literature”. Maybe out of humility he never wanted to convey to his contemporaries that he was better. Or being in the vanguard of African literature may not be necessarily the case from his perspective because Achebe lives by this dictum - “Where something stands, there also something else will stand." So, he may also believe that the field of African literature was so diverse for anybody to claim to be the leader or the inventor. Before Chinua Achebe‘s Things Fall Apart, Africa has been defined by Western writers as a place without history and civilization: an abyss, a dungeon roaming with heathen and primitive natives with disorganized political and economic structures. To put it succinctly, Africa according to naysayers was a destination of nothing: A nothingness without story, history and intelligent organic structure. With such a negative perception and pronouncement the challenge was on Africa to tell his own story, if the prevailing paradigm and prototype advanced by the West was incorrect. On this unpleasant and distorted image of Africa, Chinua Achebe took the bold move and replied the world with Things Fall Apart. Therefore it is logical to call Achebe the Father of modern African literature. Before Achebe came to the scene there was nothing to work with, he invented the afro-writing methodology rooted on Igbo structures of storytelling and used it to set the standard in Things Fall Apart. While many of Achebe’s contemporaries in Africa were becoming philosophical and accommodative of colonialism, even mimicking the western structures of writing, Achebe judiciously and categorically rejected colonialism in all its forms. Achebe stick out his neck and went after the source of many African problems which is chiefly colonialism. He gave the world, Things Fall Apart and later put up a constructive and most intelligent criticism on Conrad’s Heart of Darkness. The justification for colonialism have already been rooted strongly in the minds of Africans and Europeans alike which was primarily according to the colonialists was to unbound chains of primitiveness and backwardness holding Africans with light of western civilization. After Second War II, many Africans political leaders including Nnamdi Azikiwe, kwame Nkrumah, Jomo kenyatta, Nelson Mandela and others have begun to agitate on colonialism but the intellectualism and psychological resistances have not been fully embellished in the anti-colonial struggle. The intellectual usefulness of Things Fall Apart when it was published in 1958 cannot be overemphasized. Achebe’s golden novel proved to the whole world that Africa was not happy with colonialism and that African culture has been dealt a big blow by colonialism. Conrad’s “Heart of Darkness” description of Black people was not palatable, the caricature of Africa and Africans were obvious: Take a look at the below passages. “In some inland post feel the savagery, the utter savagery, had closed round him—all that mysterious life of the wilderness that stirs in the forest, in the jungles, in the hearts of wild men. There’s no initiation either into such mysteries. He has to live in the midst of the incomprehensible, which is detestable. And it has a fascination, too, which goes to work upon him. The fascination of the abomination—you know. Imagine the growing regrets, the longing to escape, the powerless disgust, the surrender, the hate. Once, I remember, we came upon a man-of-war anchored off the coast. There wasn’t even a shed there, and she was shelling the bush. It appears the French had one of their wars going on thereabouts. Her ensign dropped limp like a rag; the muzzles of the long six-inch guns stuck out all over the low hull; the greasy, slimy swell swung her up lazily and let her down, swaying her thin masts. In the empty immensity of earth, sky, and water, there she was, incomprehensible, firing into a continent. Pop, would go one of the six-inch guns; a small flame would dart and vanish, a little white smoke would disappear, a tiny projectile would give a feeble screech—and nothing happened. Nothing could happen. “Perhaps you will think it passing strange this regret for a savage who was no more account than a grain of sand in a black Sahara. Well, don't you see, he had done something, he had steered; for months I had him at my back -- a help -- an instrument. It was a kind of partnership. He steered for me -- I had to look after him, I worried about his deficiencies, and thus a subtle bond had been created, of which I only became aware when it was suddenly broken. And the intimate profundity of that look he gave me when he received his hurt remains to this day in my memory -- like a claim of distant kinship affirmed in a supreme moment. Poor fool! If he had only left that shutter alone. He had no restraint, no restraint -- just like Kurtz -- a tree swayed by the wind. Chinua Achebe did not keep quite when he came in contact to Conrad’s Heart of Darkness. Instead he took the fight squarely to Joseph Conrad by challenging the racism in the book. The major issue from those passages by Conrad’s Heart of Darkness was in spite of the “beautiful writing” with regards to attractive prose and grammatical effervesce he was also writing about a people that he chose to downgrade and belittle with his good syntax. “If there is something in these utterances more than youthful inexperience, more than a lack of factual knowledge, what is it? Quite simply it is the desire -- one might indeed say the need -- in Western psychology to set Africa up as a foil to Europe, as a place of negations at once remote and vaguely familiar, in comparison with which Europe's own state of spiritual grace will be manifest. This need is not new; which should relieve us all of considerable responsibility and perhaps make us even willing to look at this phenomenon dispassionately. I have neither the wish nor the competence to embark on the exercise with the tools of the social and biological sciences but more simply in the manner of a novelist responding to one famous book of European fiction: Joseph Conrad's Heart of Darkness , which better than any other work that I know displays that Western desire and need which I have just referred to. Of course there are whole libraries of books devoted to the same purpose but most of them are so obvious and so crude that few people worry about them today. Conrad, on the other hand, is undoubtedly one of the great stylists of modern fiction and a good storyteller into the bargain. His contribution therefore falls automatically into a different class -- permanent literature -- read and taught and constantly evaluated by serious academics. Heart of Darkness is indeed so secure today that a leading Conrad scholar has numbered it "among the half-dozen greatest short novels in the English language." I will return to this critical opinion in due course because it may seriously modify my earlier suppositions about who may or may not be guilty in some of the matters I will now raise. Chinua Achebe’s Things Fall Apart has done more than enough to enlighten the world about Africa and its civilization. With unbending pen he won the battle that garrison of armed soldiers cannot win. Achebe is truly an African freedom fighter that took African mores and culture to all the sleepy, quiet, adamant and reluctant parts of the world. Achebe literary works particularly Things Fall Apart is not just only mountainous intellectual asset to Africa and the world but an enduring testament that human decency triumphs over degradation. Great Achebe may have slept with his fathers but the towering achebeism will be evergreen. THE motto of Obafemi Awolowo University is ‘For Learning and Culture’. No one academic in Nigeria reflects and personifies that maxim more than Professor Chinua Achebe. The grandfather of modern English literature in Africa was both a colossus in learning as he was a thorough bred and highly cultivated individual in manners and character. Chinua Achebe’s transition last week took the world by storm and he was genuinely mourned by all those who appreciated both his writings and character. His passing on into eternity was a personal loss to this writer. It was in July 1965 that Uncle Segun Olusola took me to Chinua Achebe somewhere on Broad Street, Lagos to seek his permission for me to adapt his most celebrated classic Things Fall Apart, published in 1958 into a play. I had seen the dramatic elements in the novel and decided to make a drama out of it. Achebe asked me a few questions and satisfied with my answers, approved my proposal to adapt the novel for both stage and television. Ambali Sanni’s Muslim College, Ijebu Ode provided the funds while the students made up the cast. The production was taken round the whole Western region, including Lagos (minus the colony) and was given loud applause by the likes of Derek Bullock and Dapo Adelugba. That was the beginning of the romance with this giant of letters, who, seven years later hosted me and my wife on our honeymoon to his official residence at the University of Nigeria Nsukka in 1972. Achebe gave pride to African writing and to Africans. For the first time, he provided a lens into Africa and presented Africa from the African perspective. His writings were African based, but with monumental universal appeal. Hence his maiden novel Things Fall Apart got translated into well over 50 languages and sold over 12 million copies. Apart from being the greatest writer of prose to emerge from African continent, Achebe wrote for the masses. Achebe spoke so that he could be understood. The beauty of his writings was that he was a most excellent communicator, believing that the over all purpose of any work of art is communication. Your work, be it dance, song, speech, drama, gesture, painting must convey a message, and that message must be comprehended by your listener, your viewer or your audience. Anything short of that is intellectual garbage. In fact, Achebe could easily pass for a playwright of immense stature. There is so much drama in all of his novels. And this was the reason I started work on The Theatre in Achebe’s Novels. All the characters in his writings are alive and touchable. The trees, the mountains, the rivers and valleys in his novels speak. Chinua Achebe gave dignity and personality to art. For him, you do not need to grow a bush on your head, or grow rodents in your hair to impress on the world that you are an artist or a writer. Achebe was a man of character. He taught for many years at Nsukka, and no one ever heard that he drove his female students nuts, nor was he ever accused of befriending or marrying his students. Achebe taught us what a great mind should be. Achebe never went round state governors with beggar’s bowl soliciting for money or gratification nor was he ever accused of sleeping with his friends’ widows. Twice Achebe was offered national honours. Twice he rejected them, arguing that he was not one that would pose as holy in the day time and be in cosy alliance in the night with people he accuses in the day time. The millions who have continued to mourn Achebe since his transition, do so in deep sorrow and in sincerity, having discovered in the literary colossus a most genuine and sincere human being. 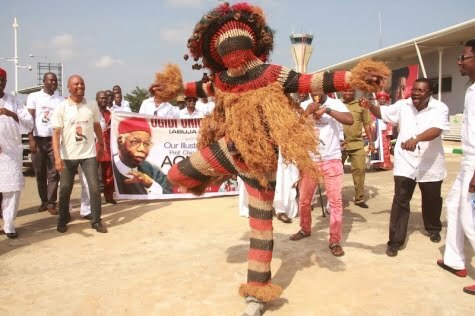 Achebe identified with his Igbo nation. He shared the pains and sufferings of his people. And never for once did he treat them with condescension that he was in any way superior to his clan. Achebe was mature. He showed maturity in all his dealings. He did not exhibit childishness. He was never petty or small-minded. All those who had anything to do with him ended up respecting him, because he commanded respect. Even when he was in his 30s he displayed unusual maturity and mastery of human relations. As far as Achebe was concerned, a writer or any artist for that matter was first and foremost a human person with deep human feelings and ethos. Chinua Achebe eminently qualified for a Nobel Prize before that hitherto prestigious prize got politicised and became not a reward for distinction but a reward for those who had mastered the art and science of boardroom politics or global arm-twisting. Although Achebe mentioned lizard in almost all his works, the honourable man of letters never learnt the art of lizarding. Prose writer Chinua Achebe shared the distinction of being the best in their arts with John Pepper Clark and Christopher Okigbo who up till today are the best writers of poetry, with Professor Ola Rotimi, the best in playwriting and play production, with Ene Henshaw, Wale Ogunyemi and Professor Femi Osofisan as playwrights with greatest relevance and profundity. This explains why to me, Achebe remains the uncrowned Nobel Prize winner with most authentic claim to that crown. The Federal Government of Nigeria must immediately commence the process of creating a national monument to immortalise this rare genius of both learning and character. 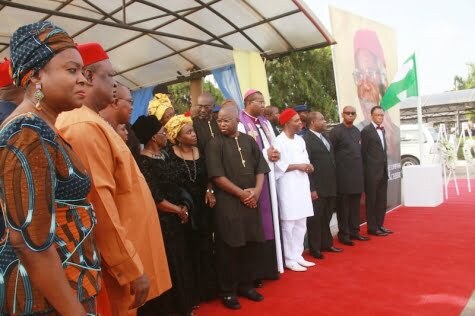 Chinua Achebe was not just a writer; he was a distinguished writer with the best and noblest of human virtues. A non-hypocrite. A non-bully. Achebe was both a great ambassador of Africa, and a true and respectable specimen of the finest humanity. • Adeniyi wrote from Lagos. World acclaimed author, the father of the modern African literature, The Great and Honorable Chinua Achebe has died. 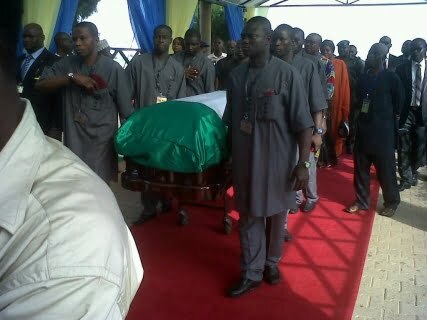 The dead of the Nigerian born academic giant and author was disclosed by Anambra State government and his publisher. "Mr Achebe, 82, was one of Africa's best known authors. His 1958 debut novel Things Fall Apart has sold more than 10 million copies. He had been living in the US since 1990 following injuries from a car crash. The writer and academic wrote more than 20 works - some fiercely critical of politicians and a failure of leadership in Nigeria. South African writer and Nobel laureate Nadine Gordimer called him the "father of modern African literature" in 2007 when she was among the judges to award him the Man Booker International Prize in honour of his literary career. Things Fall Apart has been translated into more than 50 languages and focuses on the traditions of Igbo society and the clash between Western and traditional values. Mr Udah is the spokesman for Anambra state governor Peter Obi. 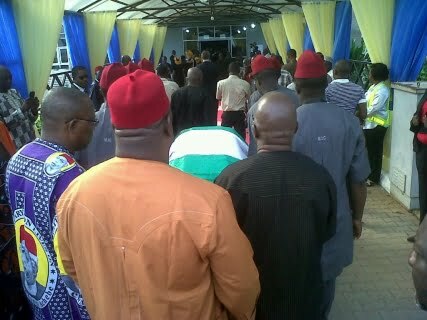 Analysts say in Igbo society the death of an important person must be announced by someone in authority. 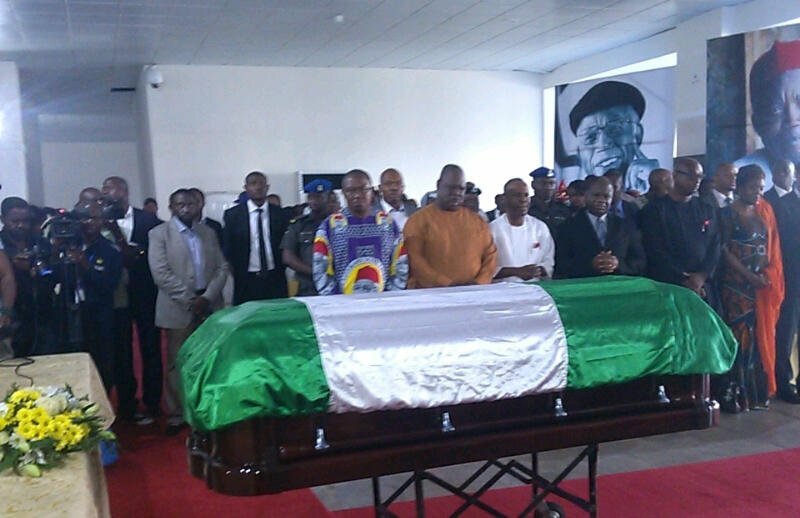 Shortly after the Anambra government announcement, Mr Achebe's London publisher Penguin confirmed his death. Last year, Mr Achebe published a long-awaited memoir about the brutal three-year Biafran war - when the south-eastern Igbo region tried to split from Nigeria in 1967. After leaving Nigeria, he worked in the US as a professor. His 1990 car accident left him paralysed from the waist down and in a wheelchair.